Bergen's old Hanseatic Quarter has a crude yet romantic charm. I crouch under creaky timbers as I wander through the Hanseatic Museum. The oversized cupboards around me once housed humble Norwegians — each minuscule "bedroom" giving them darkness and warmth through the cold but not very long Nordic night. Primitive paintings of buxom maidens with come-hither smiles decorated the doors as if to bring sweet dreams to those rustic 16th-century lives. I pick up a dried cod fish — shaped like a baseball bat and just as hard. I can't resist using it to knock the dirt off my shoes, like a ballplayer with mud on his cleats. Bergen, Norway's second city, wears her maritime heritage proudly. A scenic, seven-hour train ride west of Oslo, this rugged, compact city seems made for tourists. Its lively fish market, pedestrian-friendly old quarter, and local little "mountain" (equipped with a handy lift) fill a pleasant day-long visit. Famous for its lousy weather, Bergen gets an average of 80 inches of rain annually (compared to 30 in Oslo, the capital). A good year in Bergen has 60 days of sunshine…but Bergen takes its soggy weather in stride. Permanently salted with robust cobbles and a rich sea-trading past, Bergen was Norway's capital in the 12th and 13th centuries. Reminders of Bergen's medieval importance sit barren, bold and stony on the harbor front. Håkon's Hall, which is the largest secular medieval building in Norway, was a royal residence 700 years ago when Bergen was the political center of Norway. The Rosenkrantz Tower — the keep of a 13th-century castle — while pretty empty, offers a fine harbor view from the rooftop. Excellent tours, which cover both sights and provide a serious introduction to Bergen's history (in English), start in Håkon's Hall and leave on the hour. The city's wealth and importance were due to its membership in the heavyweight medieval trading club of merchant cities called the Hanseatic League. 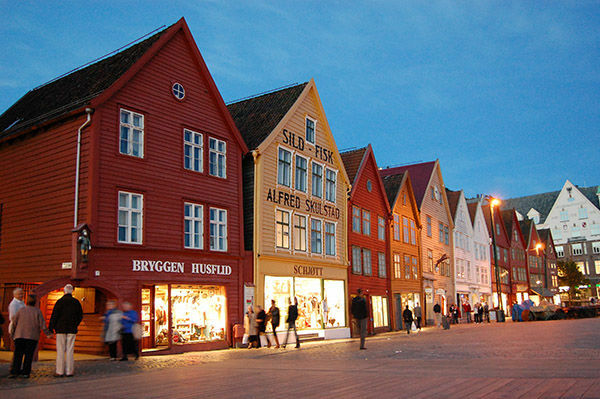 And Bergen's historic Hanseatic quarter, called Bryggen, is the sightseeing highlight of any visit. From 1370 to 1754, German merchants controlled Bergen's trade. In 1550, it was a German-run city of 2,000 workaholic merchants — walled and surrounded by 8,000 Norwegians. Bryggen, which has burned down several times, has become gentrified and boutiquish, but it's still lots of fun. This heart of the old town and former trading center is still a trading center of sorts as you'll find plenty of atmospheric restaurants, planky alleys, slouching wooden warehouses, and shops bursting with pewter trinkets, trolls, and hand-knit sweaters. For an understanding of Bergen's 900-year history, join a local historian for a 90-minute walk through this historic section. 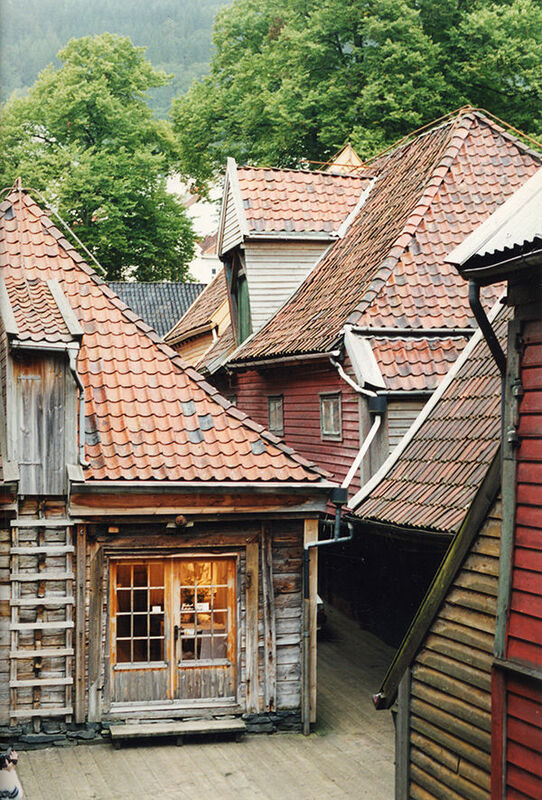 The $15 tour includes entry to Bergen's worthwhile Hanseatic Museum. It's housed in a medieval merchant's home from the early 1700s — that's where you'll see those dried fish, cupboard beds, and the medieval pin-up girls. Check out the ox tail once used for wringing spilled cod liver oil back into a bucket. Just across the street, Bergen's colorful harbor-side fish market bustles Monday through Saturday, offering lots of smelly photo fun. While the harbor front is a fine place to just kick back and watch the pigeons mate, it's also a fine springboard for some delightful strolls. And from downtown, you can hop aboard the funicular for a steep ride to the thousand foot high summit of "Mount" Fløyen. 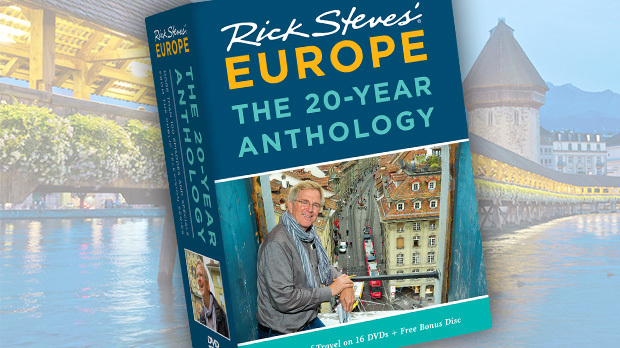 At the top, visitors enjoy the best view of town, plus a good look at the surrounding islands and fjords. Sunsets are great here, and picnicking is popular. Pose for photos with the goofy giant troll or wander your choice of the many hiking paths that crisscross the mountain. 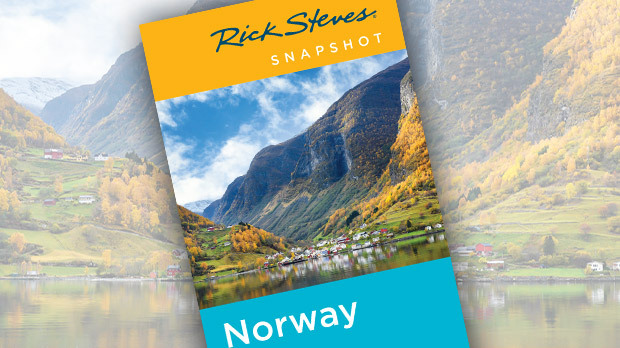 Two fascinating sights are just outside of Bergen. The Fantoft Stave Church is a fine example of the majestic 12th-century wooden churches that dotted Norway after the arrival of Christianity. While the precious original burned down in 1992, the rebuilt version — in its forested setting standing next to a mysterious stone cross — still evokes images of Nordic pagans trying to get comfortable in pews. And in the same neighborhood, music lovers enjoy Edvard Grieg's home at Troldhaugen. Norway's greatest composer spent his last 22 years here (1885–1907), soaking up inspirational fjord beauty and composing many of his greatest works. In a romantic Victorian setting, this place is enjoyable for anyone and essential for Grieg fans. The house and adjacent museum are full of memories, and his little studio hut near the water makes you want to sit down and modulate. From inspirational fjord side settings to dank castle towers to dried sticks of cod, Bergen connects visitors to the roots of Norwegian culture.